Retailers are flooded with data like never before, whether it's transactional, customer, marketing interactions or financial data; and most organizations have more data accessible than you know what to do with and it creates a challenge for marketing professionals to make it actionable. 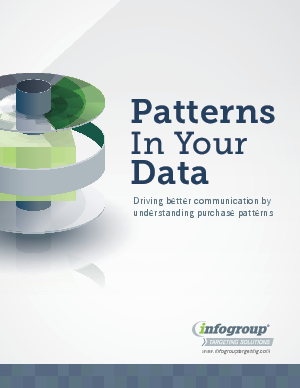 As a retail marketer, you need to be able to quickly see patterns in the data. For instance, you need to understand when someone is likely to make a purchase, or which channel or store they are most likely to use. On too many occasions marketing departments are unable to spot these patterns because they simply don't have the proper tools or resources to do the job.